Like so many of us, I love fashion! I am an avid fashion magazine reader and follower of fashion blogs (GBO fashion, Kiss Me Darling, and Walking In Memphis in High Heels are just a few of my faves, go check them out!). Unfortunately, since I’m pretty much always watching how much I spend and trying to limit unnecessary expenses, shopping for clothes often gets put at the bottom of my list. But not to worry! I have discovered the best online clothing stores for budget-conscious fashionistas! There are some that I have always loved (I’m looking at you Forever 21) and some that I’ve just discovered that are amazing! Every girl needs to know about these stores! I’m sharing my favorites with you here and also showing you ways to save even more! This post contains some affiliate links for your convenience. You can read our disclosure here. Forever 21 has a little something for everyone at amazing prices. They have clothes for women (including plus size), men, and kids. They even have jewelry! SheIn has cute clothes for dirt cheap prices! This is one of the best online clothing stores for fashionistas who are watching their spending. Not only are prices super cheap, but they also offer free shipping (with no minimum purchase), 40% off of your first purchase, free express shipping for orders over $99, and a bonus point program that can get you an even bigger discount on your purchases! Currently if you shop at SheIn through Ebates you will get 6% cash back and if you shop through Swagbucks, you will get up to 5% cash back. Yep, Amazon. Amazon has some really great deals on clothes! And honestly, some of the best deals are clothes from China, so you have to watch out for sizing information. You absolutely can’t beat the prices, though! If you read the item descriptions they will have sizing conversion charts, so make sure to check for that before buying. Also, make sure to read reviews! You will definitely know what to expect, since many people have left reviews, answered questions, and posted pictures of the items. 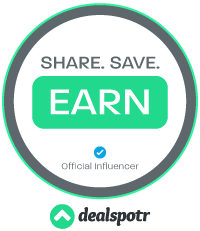 And if you are signed up and shop through Ebates or Swagbucks you will get 3% cash back! ThredUp is an online consignment store where you can buy gently used brand name clothing for women and children for less! Not only does ThredUp have cheap clothes, they also will buy your used clothes from you! Check out my post on how I get free clothes from ThredUp and other places to see more about why ThredUp is one of the best online clothing stores! If you sign up here, you will get $10 to spend on your first purchase! Also, be sure to sign up for their e-mail list to be notified of sales! Currently you can get 40% off of your first purchase, free shipping on purchases over $79, and free returns! Lulus is my personal favorite online clothing store! Not all of the things for sale are super cheap like some of the other stores I’m talking about here, but there are definitely some great deals to be found here. LuLus is my go-to for dresses. Whenever I need a dress for a special occasion, LuLus is the first place I look! I strongly suggest signing up for their e-mail list to be notified of sales and discounts. If you sign up for their list, you will get 10% off you first purchase and they frequently offer $7 two-day shipping. Also right now, if you shop through Ebates, you will get 2.5% cash back! Romwe is very much like SheIn, both are amazing online stores for budget-conscious shoppers! If you sign up for Romwe’s e-mail list you get 60% off of your first order and notifications of sales and discounts! Romwe also offers free shipping on orders of $50 or more. Currently, however, neither Ebates or Swagbucks are offering cash back for purchases at Romwe. Jane is another one of my favorite online stores! 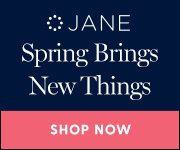 Jane offers daily deals on women’s clothing, children’s and baby clothing, home decor, and accessories. Popular items sell out quickly, since deals only last a limited amount of time. Be sure to sign up for their e-mail list so you don’t miss out on the best items! Currently, if you shop at Jane through Ebates, you will get 1% cash back. Go Jane is also one of my favorite online stores for buying clothes, shoes, and accessories. This store is regularly featured (with discount codes) in one of my favorite magazines, People StyleWatch and if you make a purchase of $25 or more, you automatically get a free subscription! I love that! Go Jane is another store where you will want to sign up for the e-mail list. When you sign up you will get free shipping on your first order (normally shipping is free for purchases of $50 or more). Currently, neither Ebates nor Swagbucks are offering cash back for Go Jane purchases. Do you have a favorite store that I left out? Let me know, I would love to check it out! Current Favorite Finds from Target and a Giveaway! Favorite Fall Finds from Nordstrom and a$150 Nordstrom Giveaway! Previous Post: « Summer Electric Bill – Save Money and Energy! Made a list of these to go and check them out. I find myself shopping more and more on line. You had me at budget 😉 But seriously, this is such a great post with tons of valuable information. Great options for those of us on a budget. Thanks for sharing, there were a few I have never heard of! A friend recently told me about ThredUp! I definitely need to check that out! I love shopping at thredup online! You can find some seriously amazing deals! Thanks for sharing- now I have a few new places to try shopping! Glad I read this!!! I only knew half! Can’t wait to check out the others!! I am always looking for a good deal. Thanks for sharing these stores. I will be checking them out for sure. Ive been looking for just this! Need some new clothes!! !